The list of what you can find in the Tigre Delta may be long compared to that of what you won’t. Certainly the car will be on the top of the list of Delta’s “extinct species”, in fact there are no roads on the islands. Communication between islands is provided by boats, be it big commuter water-buses (called “collectivos”) or a myriad of smaller speed-boats, water-taxis and everything else that can float and move on the water. 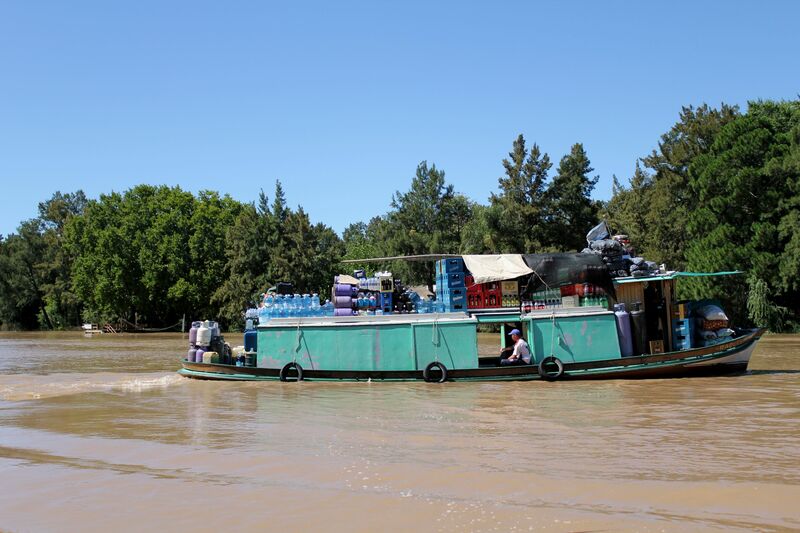 Collectivos service is provided from Estacion Fluvial at Lujan River by three major carriers: Interisleña, Goldfinch and Líneas Delta Argentino. There are also supermarket boats, “General Store” boats, garbage collection boats… you name it (not sure but may be you may even find a “pizza delivery service” by boat?). 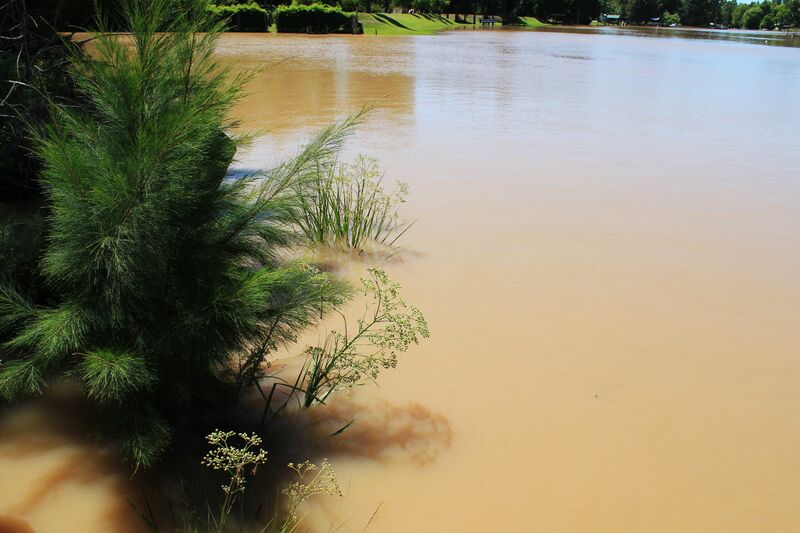 So do not be surprised by not finding driveways in the Delta de Tigre - get use to docks! The whole area of Delta is organized around waterways. Although most of “water-intersections” have indications signals with names and directions I think it is still relatively easy to get lost in this labyrinth of narrow, winding streams and water-passages. 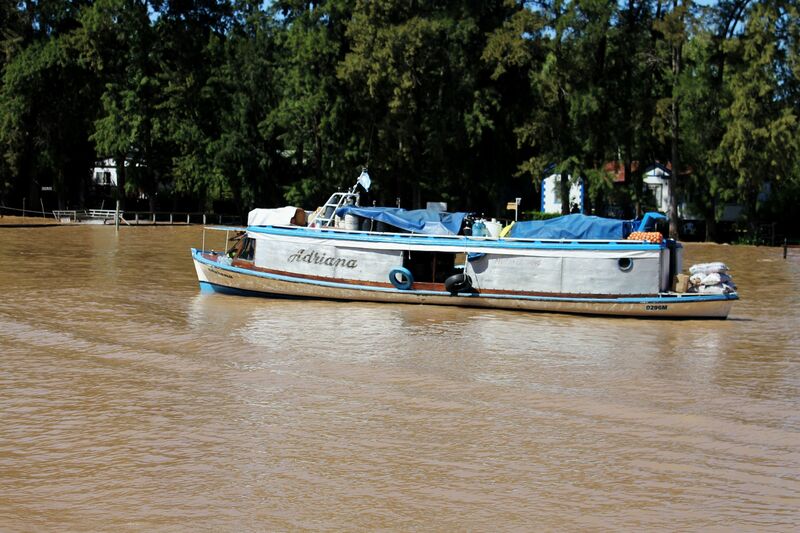 If you want to discover the Delta Tigre on your own, then it may turn to be a real “lost and possibly found” - adventure! Now a bit about city of Tigre itself - in other words “continente” as locals call Tigre, despite the fact that it is also located on an island. 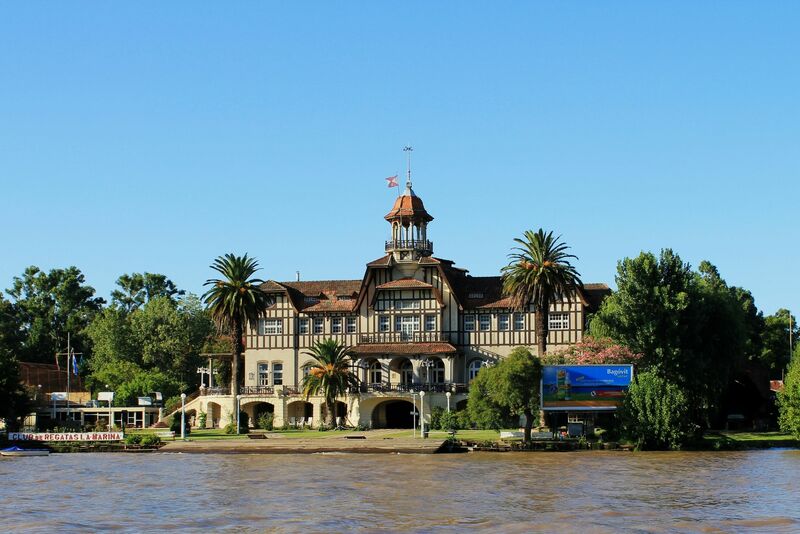 The best way to witness Tigre’s glorious past is taking a walk down the Paseo Victorica – a pedestrian street along the Lujan River. 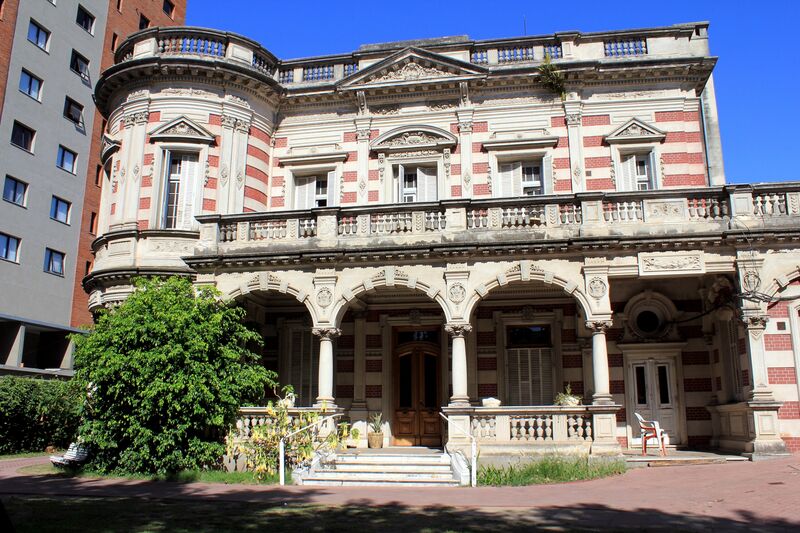 Mansions lining the street still keep their elegant style and a relaxing Victorian atmosphere…..
You will easily spot there a magnificent structure of the former Tigre Club. 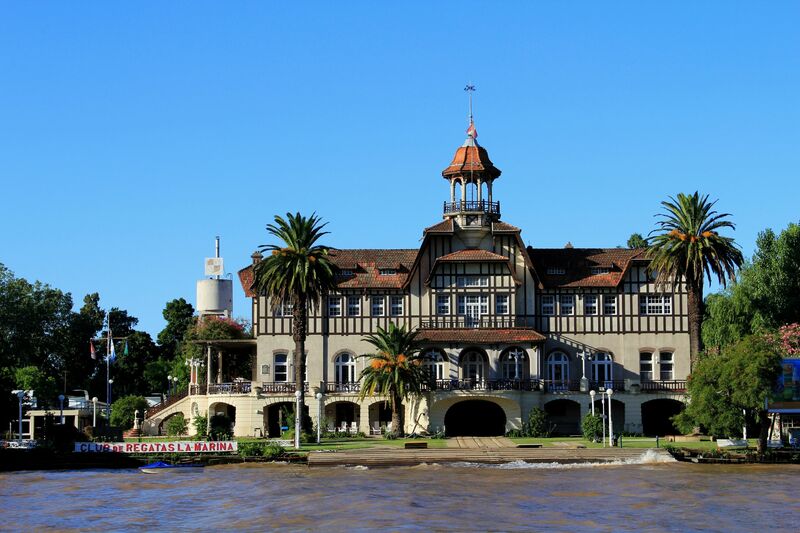 Designed by famous architects including Emilio Mitre (son of the former Argentinean President) it opened in 1913 offering a meeting place for famous, rich and “well-connected”. The interior design included frescoes by a Spanish artist Julio Vila y Prades, marble staircase, Venetian mirrors, French chandeliers – simply speaking a splendor matching that of Buenos Aires’s palaces. Not far from there you will find a much more modest building housing the Museo del Mate (Museum of Mate). 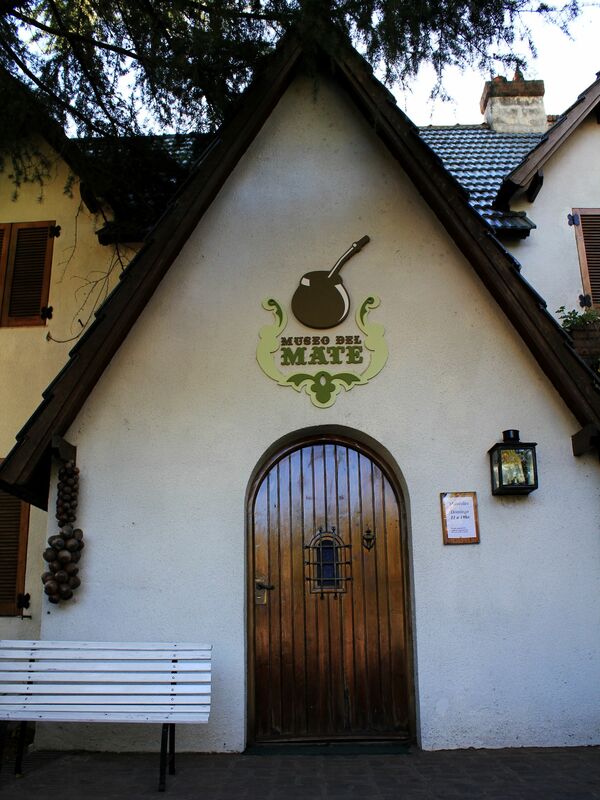 This little charming place is stuffed with mate gourds and straws from all over the “mate world”. But the best of the tour is at the end when the museum’s staff offers a lesson on how to made a good mate (believe me it takes much more than just pour the hot water on the teabag as we use to do on a daily basis with our English-style home-made drink). Take the lesson – it is never too late! Tigre Tour in Pictures - Tigre: Both left photos - Rowing Club Argentina, Right - part of the Paseo Victorica in front of the Naval Museum. 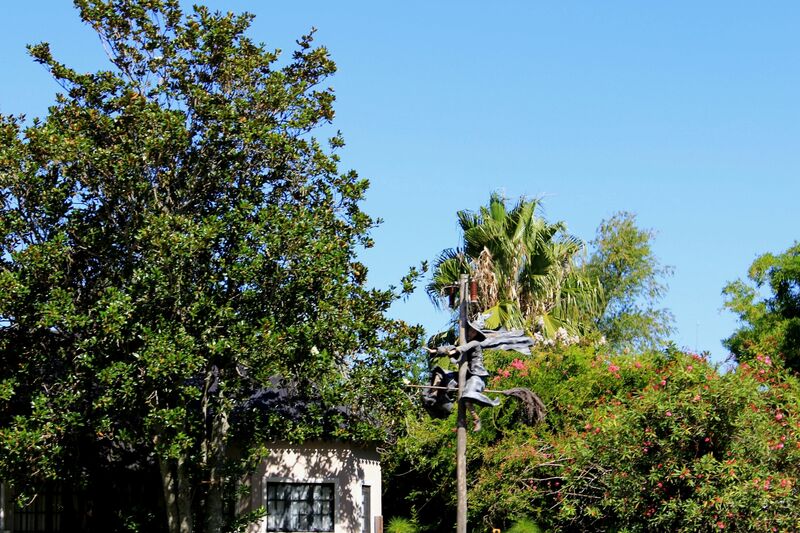 In addition to the museums and architectural marvels, Tigre also offers and amusement park (kind of a “Little Disneyland”). I heard the trilling stories about the local rollercoaster, but hey, get over it, this is not why you came to Tigre in the first place. So unless your kids reached a state of “screaming ecstasy”, just forget it (for your “safety” do not even mention this option and be ready to “divert” kids’ attention when passing by). Actually a much better choice is the local Fruits Market (about 10-minutes walk from the train station) – famous for apparently offering “all you ever saw” (and did not yet) in your whole life. At least that is how it was in the past when almost quarter of the South-American continent supplied the fruits (and food in general) down the rivers to the “devouring-it-all” Buenos Aires. These days the stream of tourist is continuously changing this “idyllic” picture so you will also see there more and more of handmade souvenirs and artisanal crafts. Also, “thanks” to the effect of "Global Village" you will realize that many previously “exotic fruits” and not so exotic anymore :-). But despite these changes the visit to Puerto des Frutos” is still worth of your precious time…(at least these days). 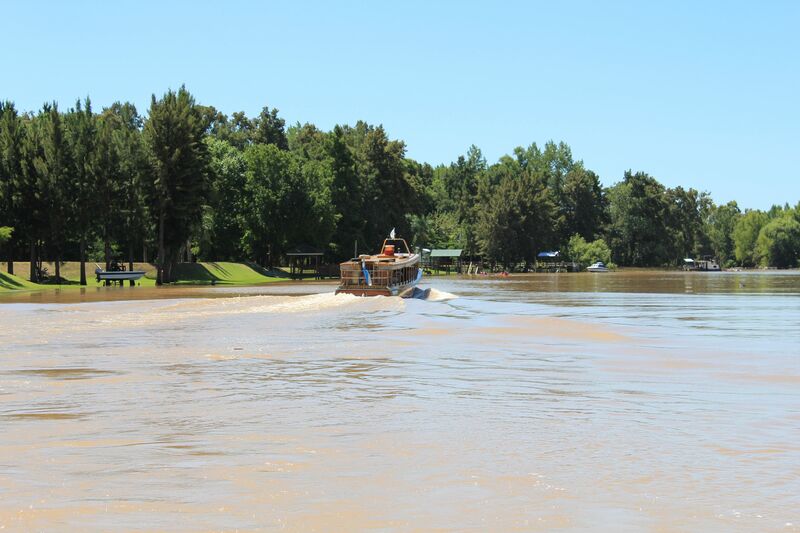 There are several ways to get to Tigre. Certainly the most popular (and dirt-cheap) is the train providing the direct service from the Retiro Station (Buenos Aires) to Tigre (line Ferrocarril General Bartolomé Mitre). The 50 minutes trip costs a “mind-blowing” 2 AR pesos ($50 cents) roundtrip, but the train is usually crowded by commuters and you may have problems to find a sitting place. For more savvy tourists a better option is to board the Mitre line from Retiro and change the train at Maipú–Bartolomé Mitre station to more fancy and tourist-oriented Tren de la Costa. It provides not only better quality service but also more scenic route to Tigre along the coastline of the Rio de la Plata (all that at an extra cost of some few more AR pesos). This 15.5 km (9.6 miles) long run will make your trip to Tigre a bit longer but certainly you will find it highly rewarding (2-cars train runs approximately every 20 minutes). 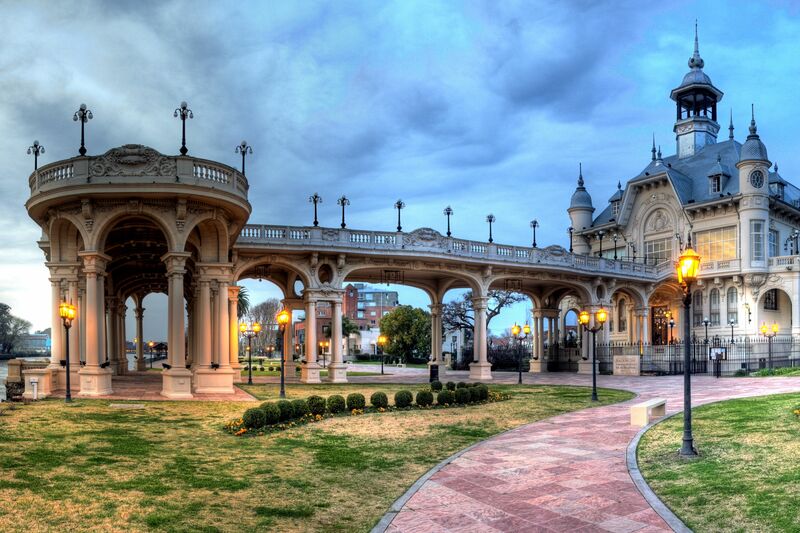 You can also take a regular city bus from Buenos to Tigre. For a mere 2 Ar pesos (about $0.5US) you will have about 1.5 hours drive through the city and its suburbs. On the positive side – you will have a chance to realize the enormous size of the capital city of Argentina. The bus with its frequent stops takes you through endless urban areas “not necessarily” as beautiful as the downtown of Buenos Aires but certainly giving you a better glimpse at the local life. 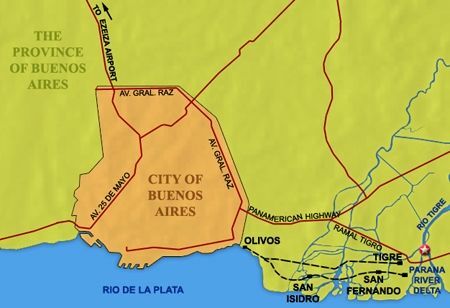 Map of the region of the Capital Federal - Buenos Aires with the area of the Delta de Tigre. Area of Buenos Aires - Map of the route by the Tren de la Costa. 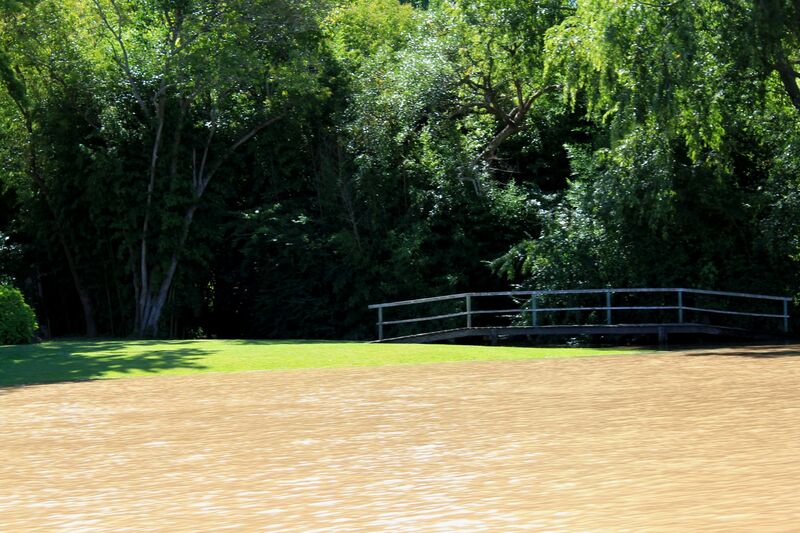 Note: This photo does not have its high resolution version! 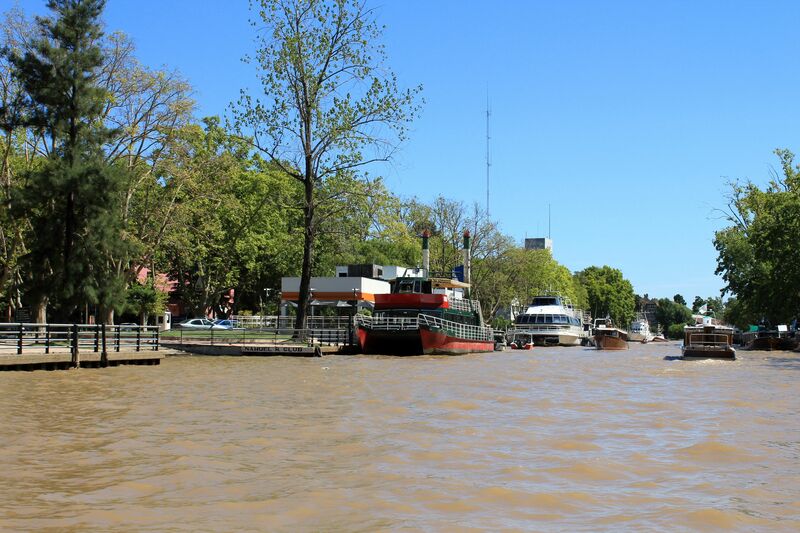 There is also a scenic ferry boat service from Puerto Madero to Tigre and finally for those desperate – a regular taxi for about 120 pesos (some $30 US). Take a good mosquito-repellent with you. 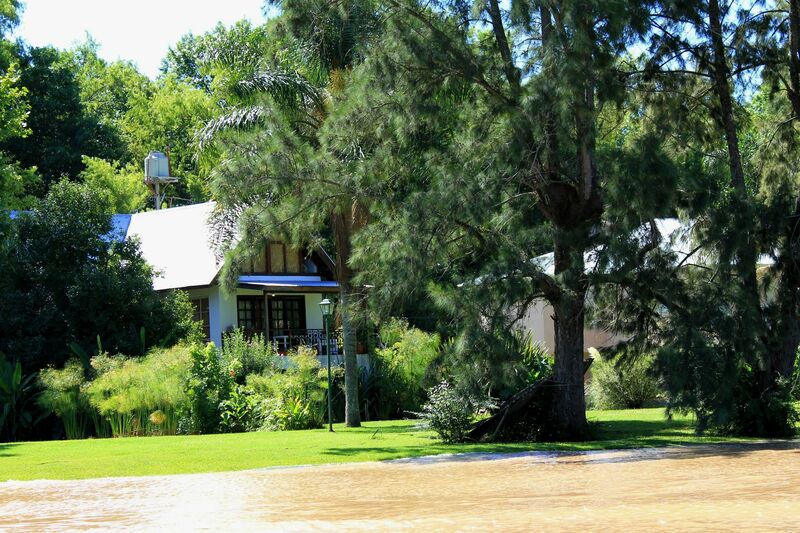 Delta de Tigre is a nature’s paradise and a favorite place for all water loving creatures. Mosquitoes like it too! Do not swim in Delta’s waters (at least in its more inhabited areas). 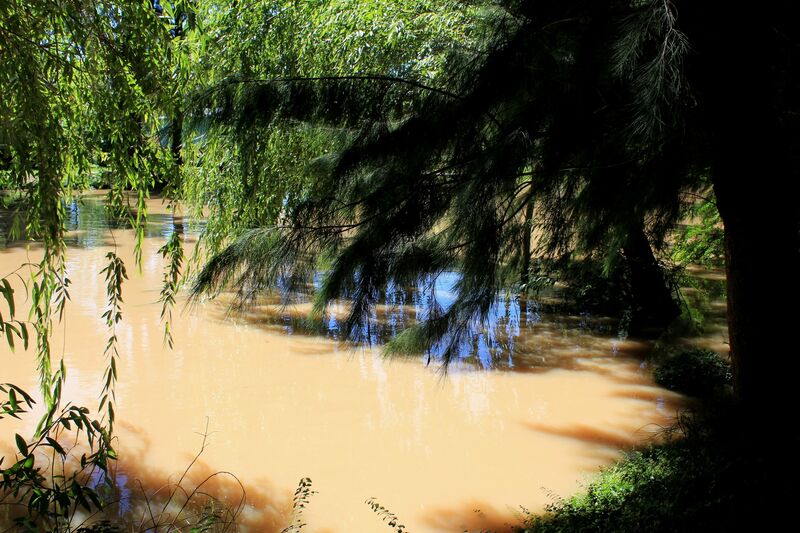 It is not that the water is muddy and brownish – it is rather the lack of trust in the local sewage and waste-water treatment systems (if existing at all). I do not have any documented facts, so it is just the “warning sign” coming out of experience. Please note that even as a half-day guest or a lunch-time visitor you may take the swim in one of pools belonging to retreats (you may be asked to pay small fees if you are not the full day guest). 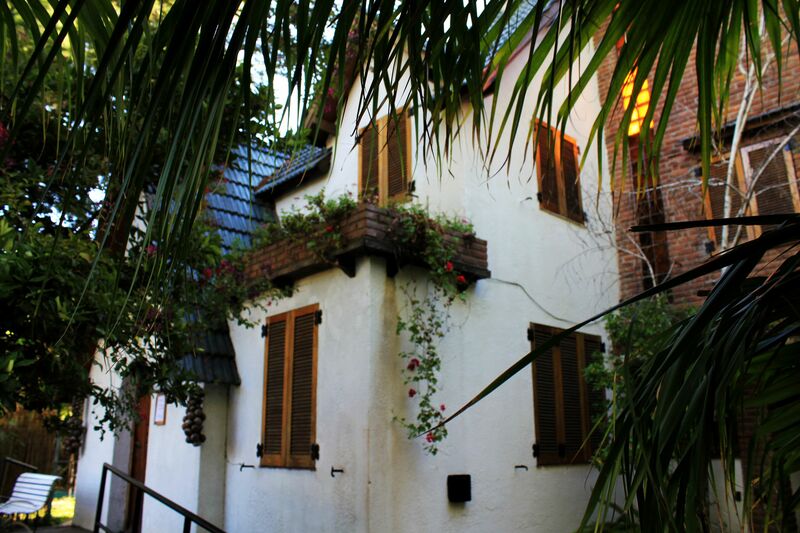 Avoid weekends – that is the time when Buenos Aires dwellers literally invade the Delta Tigre. Argentineans are very nice people but you socialize with them rather in Buenos Aires then in the Delta. Here you want to feel a ”Gentle Touch of the Mother Nature” (and your girlfriend or boyfriend as the matter of fact) instead of shaking a “sweating” hand of a neighbor. Here you want to hear the silence of nature mixed with morning songs by birds or evening concerts by frogs instead of hoards of screaming kids…. And one more thing - keep in mind that Argentinean weekend also includes Saturday! 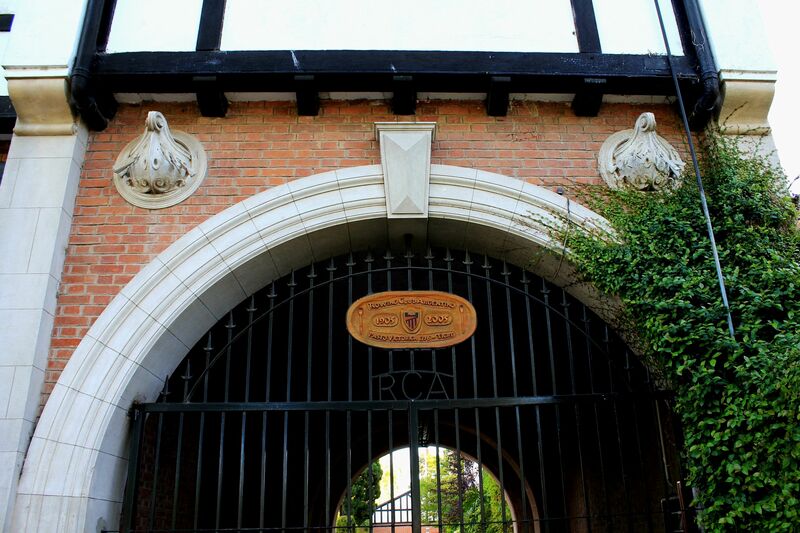 Take with you bottled water – the Delta Tigre is not the city of Buenos Aires with shops open 25 hours a day. It is a scarcely populated area – and despite the abundance of water all over around you may still need a drinking water, especially in a hot, sunny day. 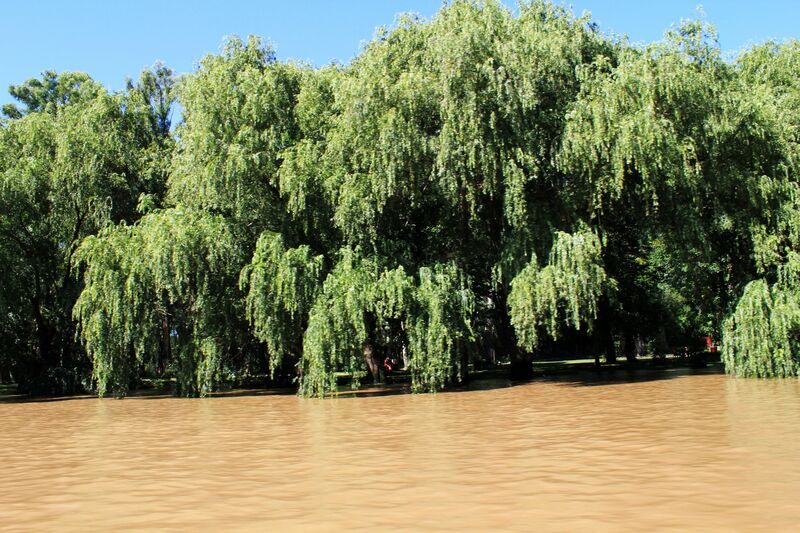 "Landscape" of the Delta Tigre - Right: Little "Troll" from the Parana's swamps? And that that is how our virtual tour of Tigre and its delta is finishing on the pages of the Free Tigre Delta Tour Pictures. I hope everybody found here something interesting. Be it information, descriptions or stories and of course pictures (because Amazing World in Free Stock Pictures and Photos is all about pictures). I’m also sure that if you will have chance to visit Buenos Aires, you are now fully convinced that the Delta Tigre is a place not to miss. Especially after so many attractions in the capital city, the trip to Delta just before returning home is like a “balsam” for the body and mind….